Hobo With a Shotgun, Small Sur w/ the Missionaries, Dogtown Roadhouse & More! There is a lot going on this weekend around town and out of town. Here’s our Top 3 for the week! Scroll below the Top 3 to see a lot of other great happenings! On Friday (6/17) the Shadowbox will present the debut of director/writer/producer Jason Eisener’s first full-length film, Hobo With a Shotgun! In a random train yard a hobo steps off a train with hopes of starting a new life. Quickly realizing this is a town where crime rules and justice drools he decides to take up the mantle of law. Armed with a pawn store shotgun and a fucked up set of morals he takes to the town to rid it of evil. Starting at at 8pm and only costing $5 this film is worth seeing more than once! The Shadowbox is located on Kirk Ave, downtown Roanoke. On Sunday (6/19) the Missionaries will be hosting new friends from Baltimore, Small Sur! This show will take place at 1515 Roanoke Ave. with donations requested for the traveling group. Small Sur has garnered a lot of attention recently through their live shows and recordings with mentionings from blogs such as Tiny Mix Tapes to NPR to their own Baltimore City Paper. The Missionaries will also be playing that evening sharing their own blend of myth inspired folk. This show will start at 8pm, donations! Above is a video interview of Small Sur by a Portuguese TV station in Coimbra, Portugal. 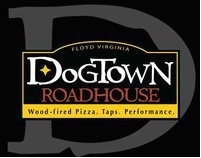 On Saturday (6/18) the Dogtown Roadhouse in Floyd celebrates its 1 year anniversary! Starting at 11am and running all the way to midnight Dogtown will be bringing back some of their favorite bands and people throughout the last year to celebrate. Music for the evening includes Wyndy Hill Travelers, Grass Monkey and DJ Joneski! Come out and celebrate with Dogtown, pick up a wood fire oven pizza and one of the great microbrews on tap! Wednesday (6/15-26) Frogger (a play by Adam Hahn) directed by Cheryl Snodgrass. Studio Roanoke, downtown. 8pm. Saturday (6/18) Goodwill Falcon, Rugby and Nobles at the Bazaar. 9pm, $5. Tuesday (6/21) Gleaming the Cube at the Shadowbox. In celebration of “Go Skate Day”. 8pm, $5. All proceeds go to the Skateistan charity.